Being a perfume lover comes with its (un)fair share of heartbreaks. When you take up this “hobby”, you risk falling in love with a perfume that will be discontinued without an explanation or reformulated without an announcement. You also risk falling for something that costs as much as a monthly lease payment on a luxury car. Who knew that 50 ml of some invisible stuff diluted in alcohol could be so complicated? Today, I’m discussing a few of the risks of being a perfume lover. 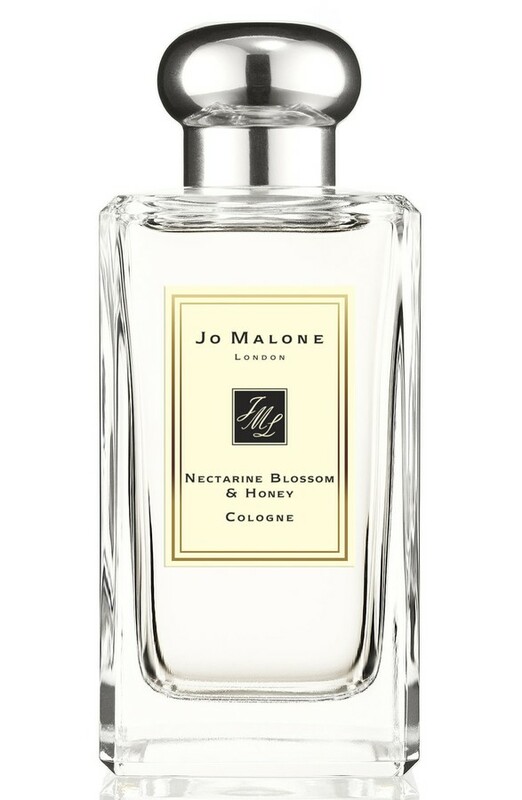 Basically, I like Jo Malone London Nectarine Blossom & Honey because it reminds me of a cheap perfume that I can no longer buy. When I first started EauMG (10 years ago! ), I was into solid perfumes because I could sneak them into my scent-free work environment. I was also paying off student loans and working my first “professional” job…I was broke and solids were cheaper. I ended up buying and wearing a lot of solid perfumes from a now discontinued French brand, Crazylibellue & The Poppies. These perfumes weren’t exceptional, but they were really satisfying for their price ($15-ish). Most of them were simple, something that I could easily replace if I wanted to (i.e. an incense-centric or white musk perfume); however, there was one that I absolutely loved and was also available as a cologne spray, 26 Juin Île d’Yeu. This was an aldehydic fruity floral that really did remind me of late June. It also reminds me of a pleasant time in my life, one of those times where I look back and everything was “right”. Anyway, the perfume doesn’t exist anymore and I’ve been looking for a replacement. Of course, that replacement smells and wears the same and costs much more. This is the risks we Fumeheads take. Nectarine Blossom & Honey opens as blackcurrant and crushed greens with a sweet apricot. It starts to wear like a summer breeze over ripe stone fruit trees. It’s a mix of warm ozone, peaches, plums and a bramble of berries. There’s a greenness throughout the fragrance from vetiver, “crushed leaves” and a green neroli. Sometimes I pick up on a rose, but I often wonder if the green-peach is playing tricks on me. Being a short-lived cologne, there’s not really a dry-down to Nectarine Blossom & Honey. It is what it is, until it isn’t. It’s a aldehydic green, (unripe) fruity fragrance that evaporates into nothing. Nectarine Blossom & Honey smells synthetic and isn’t as “good” as the cheaper one I’m trying to replace. However, it’ll do. It reminds me of mid-summer and I can wear it in the sticky, hot summer without feeling overwhelmed. Notes listed include green notes, blackcurrant, petitgrain, nectarine, black locust, vetiver, peach and plum. Launched in 2005. Give Nectarine Blossom & Honey a try if you like fruity-florals or peach-centric perfumes. Or perfumes like CREED Spring Flower, Burberry Summer for Her, Annick Goutal Petite Cherie, Rosie Jane Leila Lou and/orBurberry Weekend for Her. And that Crazylibellule & The Poppies that I went into too much detail with in this review. Like so many of the Jo Malone London fragrances, projection and longevity are below average. But, they’re colognes, so it’s average, really. Nectarine Blossom & Honey comes in a few sizes with the 3.4 oz retailing for $135 at Nordstrom and Sephora. Smaller sizes and a bath/body products are also available. Victoria’s Final EauPINION – A mid-summer fruity-floral: peaches, stones fruits and berries. Isn’t it fun to try to find a replacement for something cheap only to find a decent replacement cost like 5x more? *Sample obtained by me. Product pic from Nordstrom. Madge Bellamy pic from fanpix.net. Post contains affiliate links. Thanks! Jo Malone scents are bizarre. I received a sample of Peony & Blush Suede when it launched, and it was short-lived on my skin. It wore off by the end of the day unless I sniffed my wrist. I liked it enough to buy a bottle, and that stuff lasts DAYS on me with a pretty fair amount of throw. I feel like they do it on purpose. OMG, you aren’t the only person that has told me this before. A couple of JML perfume fans that read EauMG have emailed me with this hypothesis. Short story – I loved Wood Sage & Sea Salt and reviewed it from a manufacturer’s sample. Only complaint was how short-lived it is. Friend decanted me a small spray sample of the perfume from her full-size that she bought. I thought I was losing my mind because the stuff she decanted for me lasts. I even did a side-by-side and I swear the full-size lasts hours longer. Are they doing this on purpose? Do they reformulate the full-sizes after doing a campaign with samples? idk but it’s weird. What surprised me about this one when I finally got a sample a few years ago was how incredibly synthetic it smells from the very first waft. It has such fans on the internet that I expected something a little more well rounded. Silly me. I don’t mind blatantly synthetic perfumes, I just wanted it to live up to the name/idea of “natural” blossoms and honey because that would be like a fancy dessert from a fancy restaurant. And yes, it’s amazing how it (and many other JM’s) just *go away* without any warning. I have a philosophy that if I run out of a perfume and it is no longer available, then I’ll move on. I’ll let that perfume define that era of my life and remember it fondly. I said that until for some reason I got the hankering to smell like a synthetic green peach! I never understand reviews that say that JML perfumes smell “natural”. The entire line to me smells incredibly synthetic. That isn’t bad, I like a few of them, but they don’t smell realistic/natural. I think it was a great marketing ploy of theirs to name the perfumes the simple “soliflore” names because it really enforces that “realistic”/simplistic/”back to nature” component despite the brand being really sci-fi synthetic. (Rant unrelated to your experience but that back when I worked a perfume counter, customers would come in and say JML was natural and smelled REAL and I’d be like “um…tell me where you buy your limes that smell like plastic cling-wrap, please”). Anyway, I do think if you are going to slap “Sweet Lime & Cedar” on a perfume, that it better smell like its name! Oddly, I like their bath/body and home products better. The synthetic-ness works better in that context than their colognes imho. I was just thinking the same thing. Scents are tempered in water somehow and can become much more pleasant. I suppose it’s the dilution effect similar to home fragrance sprays, where the initial scent is over-powering, but as it diffuses throughout the space, it’s airy and palatable. Yes, perfume marketers sure know how to exploit the power of suggestion. Their goal is to sell, so they say what’s needed and many people accept it, even if the lime smells plastic. We must always ask the critical questions and train our noses to see the truth! I’d say it’s challenging to “translate” the scents as a perfumer from a perfume into a home fragrance. I imagine making something for the atmosphere is really different than for a person. I know there’s a lot of candle scents that I love as a home fragrance but would never ever wear as a perfume. I’ve been trying to find an older article about how perfumes (or at least when the article was written) that are named after a single note sell better. People tend to like the simplicity associated with it. Or at least that was once what was associated with niche perfumes and you see that a lot with certain brands (i.e. Le Labo). Of course, now I can’t find it in the WWD archives. Oh, well. I haven’t thought of Crazylibellule & The Poppies in YEARS!!! I loved that company and like you, I experimented with many of their solids as a pre-dip into the abyss of fragrances. I didn’t realize they no longer exist….sad. I have the same problem with a fragrance that was discontinued ages ago – Burberry Brit Gold – a totally synthetic, powdery and slightly bitter amber that I adore. I bought 3 bottles of it when I heard it was being discontinued and I’m down to my last bottle (I gave two of them away to a friend who loves the fragrance even more then I do…), and I still haven’t found anything like it, even with all the sampling I do! With all the reformulations and discontinuations, loving a single fragrance is becoming harder and harder…. So..I heard that they are now Sabe Masson (available at Beautyhabit), but none of the fragrances are the original Crazylibellule blah blah. They come in the same packaging and are now $25 each. I haven’t tried any of them. But, I used to love that format back in the day. They were my cheap thrills. Too many risks with fragrance! lol. I have a feeling if you find something like it, it’ll be niche and 10 times the price. I vaguely remember Burberry Brit Gold because a gf wore it. Your description is exactly how I remember it. She also wore Armani Sensi and I’m still pissed that Armani discontinued that one! I’m still angry at Dolce & Gabbana for discontinuing the two that I loved: Pour Femme (spicy carnation) and Sicily (“shower fresh” but make it fancy). I haven’t even tried to find replacements for these. The new Pour Femme is terrible (sweet, candied thing). When I have a Sicily craving, I wear No. 5 now. Brands are annoying.